KINGS BAY, Ga. – As residents of Oneida move about their each day lives, members of the us Navy’s “Silent Service” submarine power work underneath the ocean’s waves, continuing a culture that just a small fraction of army members will ever know: strategic deterrence. Petty Officer 2nd Class Evan Rich, assigned to the USS Florida, hails from Oneida, New York, and is a 2013 graduate of Oneida High School who takes on the activity to execute certainly one of the Defense Department’s essential undertaking of strategic deterrence. Rich is a machinist's mate stationed on the Naval Submarine Base Kings Bay, homeport to the Ohio-class ballistic-missile and guided-missile submarines. KINGS BAY, Ga. – As residents of Allen cross about their every day lives, members of the united states Navy’s “Silent Service” work below the ocean’s waves, continuing a culture that just a small fraction of army members will ever know: strategic deterrence. Petty Officer 2nd Class Joshua Sackey, assigned to USS Florida, hails from Allen, Texas, and is a 2000 graduate of Piscataway High School who takes on the job to execute considered one of the Defense Department’s essential undertaking of strategic deterrence. Sackey is a culinary expert stationed on the Naval Submarine Base Kings Bay, homeport to the Ohio-class ballistic-missile and guided-missile submarines. KINGS BAY, Ga. – As residents of Arab move about their every day lives, members of the us Navy’s “Silent Service” submarine drive work under the ocean’s waves, continuing a culture that just a small fraction of army members will ever know: strategic deterrence. Petty Officer 3rd Class Austin Tucker who hails from Arab, Alabama, and is a 2013 graduate of Arab High School takes on the job to execute considered one of the Defense Department’s most very vital project of strategic deterrence. Tucker is an news methods technician, submarines, stationed on the Naval Submarine Base Kings Bay, homeport to the Ohio-class ballistic-missile and guided-missile submarines. KINGS BAY, Ga. – As residents of Denton cross about their every day lives, members of the us Navy’s “Silent Service” submarine power work underneath the ocean’s waves, continuing a culture that just a small fraction of army members will ever know: strategic deterrence. 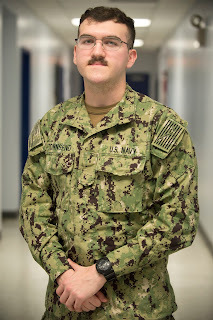 Petty Officer 3rd Class Evan Reed, assigned to the USS Maryland, hails from Denton, Texas, and is a 2017 graduate of Denton High School who takes on the activity to execute one in every of the Defense Department’s most very vital challenge of strategic deterrence. Reed is a logistics specialist, submarines, stationed on the Naval Submarine Base Kings Bay, homeport to the Ohio-class ballistic-missile and guided-missile submarines. KINGS BAY, Ga. – As residents of Tucson pass about their day via way of day lives, members of the united states Navy’s “Silent Service” submarine drive work below the ocean’s waves, continuing a culture that just a small fraction of army members will ever know: strategic deterrence. Seaman Apprentice Alejandro Torres, assigned to USS Alaska, hails from Tucson, Arizona, and is a 2014 graduate of Mountain View High School who takes on the process to execute one among the Defense Department’s most very vital challenge of strategic deterrence. 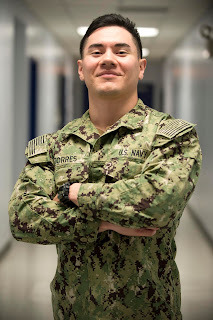 Torres is a yeoman stationed on the Naval Submarine Base Kings Bay, homeport to the Ohio-class ballistic-missile and guided-missile submarines.